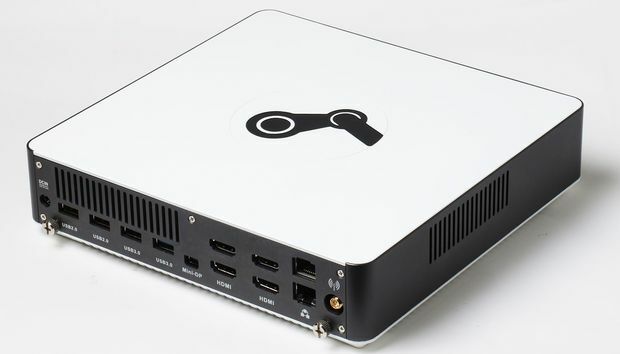 The Linux-based Steam Machine platform hasn't exactly picked up steam. Valve recently reported that it had sold more than 500,000 Steam Controllers since November, when they rolled out alongside Steam Machines. Valve later confirmed to Ars Technica that those 500,000 controllers included ones that were sold as a package with new Steam Machines. Assuming some controllers were sold separately, it appears less than 500,000 Steam Machines from hardware makers such as Dell’s Alienware, Scan, and Zotac have been sold since November. Seven months. That is not a promising sign and throws into question the future of Steam Machines as a viable gaming platform. The concept of the Steam Machine was simple enough: Create a PC that looks like a console, give it a console-like operating system designed around controller usage, and gamers get a PC-quality machine that actually looks like it belongs in the living room. But that dream isn't winning over hordes of converts. The biggest issue may be the fact that Steam Machines are sold running the Linux-based SteamOS. Using Linux immediately restricts the number of games you can play and eliminates many hot AAA titles, even though Linux gaming has exploded since Steam Machines were revealed. That may change in the future, however, if the hype train over the Vulkan graphics API continues. Vulkan is the open source, cross-platform alternative to the Windows-only DirectX 12. Right now, DX12 is the default for PC gaming, which means the center of PC gaming is Windows. For Linux to grow in any significant way Vulkan would have to either replace or become just as popular as DX12. Vulkan’s predecessor OpenGL never gained that kind of traction, but you never know. On top of the Linux issue, as our fearless games reporter Hayden Dingman pointed out, there’s also a healthy number of gamers who simply don’t want to buy another high-powered PC to complement the one in their gamer cave. They’d rather just stream their PC games to the living room instead. In fact, Valve also sought to win over those gamers with the $50 Steam Link, a set-top box capable of streaming your Steam library from your PC straight to your TV. When we reviewed that device Dingman said, “With a strong network and a powerful PC already in your home, the differences between Steam Link and a full-fledged Steam Machine are negligible.” Why spend several hundred dollars on a Steam Machine when you can just capitalize on the PC you already have for an extra $50? Valve even released the Steam Link alongside Steam Machines and the Steam Controller. Moving 500,000 Steam Controllers in half a year is certainly encouraging for the revolutionary peripheral, however. It would also be interesting to see if Steam link is proving more popular than Steam Machines. If so, that would suggest that PC gaming in the living room is a viable proposition, but dedicated Steam Machines may not be the right device for the job. The lasting legacy of this experiment might just be Valve's own hardware.